Pioneers in the industry, we offer computerized tensile testing machine and computerized universal testing machine from India. 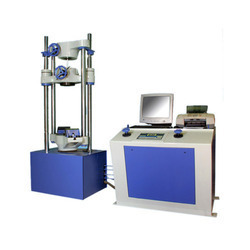 With the extensive knowledge and experience in this respective domain, Offered we are offering an extensive range of Computerized Tensile Testing Machine. testing machine is manufactured using the finest quality components and progressive technology in compliance with industry norms. Our quality examiners check this testing machine on different quality measures so as to ensure its quality. Apart from this, we offer this testing machine in various specifications and designs. Keeping in mind, ever-evolving requirements of our valuable clients, we are offering quality assured Computerized Universal Testing Machine. Available in various sizes and designs offered testing machine is widely praised in various industries due to its easy usage and high efficiency. Our skilled professionals manufacture this testing machine using superior quality components and modern technology in sync with industry norms. Moreover, this testing machine is available at budget-friendly prices for our clients. 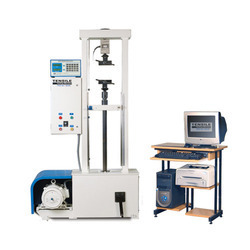 Looking for Computerized Tensile Testing Machine ?